Last year, plans for a pleasant date at Urth Caffe in West Hollywood turned into a nightmare for a woman who says she was sexually assaulted by a man she met on the online dating site Match.com. While Sexual Awareness Month is underway during the month of April, she is calling for companies in the online dating industry to implement screening technology that might prevent similar attacks in the future. The woman, a successful Hollywood entertainment executive and Ivy League graduate, is speaking out through her attorney to bring awareness to her case and others like it. She says that she met the alleged perpetrator, Alan Paul Wurtzel, on Match.com in 2010. The two set up a date to meet for coffee, after which Wurtzel is alleged to have viciously sexually assaulted her. Wurtzel was not a garden variety online dating site member. He was a serial sexual predator, as cursory examination of public records would have disclosed. His record in Los Angeles County alone indicates six separate convictions for sexual battery in the period preceding his attack. Wurtzel had been the subject of several criminal investigations alleging sexual assault, beginning in 2001. Leading up to May of 2010, he was contacting women using the online dating site Match.com under the screen name “a1an208.” Through these contacts, he eventually met the victim in this case who he then sexually assaulted in her home. 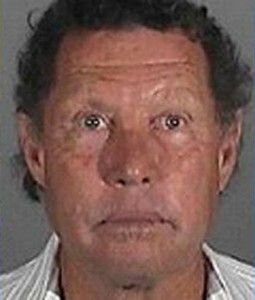 On June 15, 2010, Los Angeles Police Department investigators arrested Wurtzel for sexual assault crimes. Felony charges against Mr. Wurtzel are currently pending in Los Angeles Superior Court. Detectives believe more victims may exist. “Online dating sites could begin to protect innocent members of the public from convicted sexual predators who are easily discoverable, as was Mr. Wurtzel,” stated Webb. “During Sexual Assault Awareness Month, we are calling for reputable online dating sites to consider voluntarily instituting a basic screening process that disqualifies from membership anyone who has a documented history of sexual assault. Look at that mug shot! Who in their right mind would even have a cup of coffee with him? A “successful Hollywood entertainment executive and Ivy League graduate,” I guess.